Away from large resorts and tourist-lined streets, there are small towns throughout Mexico that harbor fascinating history, rich culture and mesmerizing charm. For the curious and the adventurous, dare to journey off the sandy, beaten path to find these magical hubs and discover a new side of Mexico. 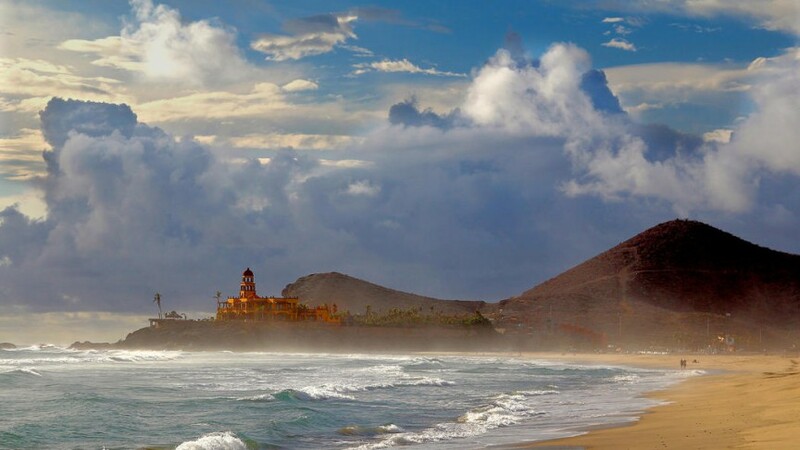 About an hour north of Cabo and south of La Paz is the small town of Todos Santos (meaning “all saints”), a relaxing, casual city with a laid-back atmosphere and affordable rates. 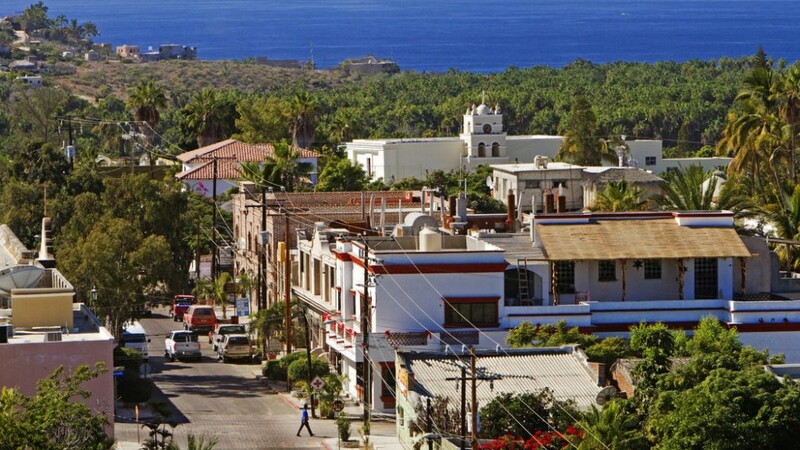 Unlike its neighboring cities, Todos Santos is without an influx of tourists and is reminiscent of how the the busier cities used to be. Located between the Sierra de Laguna Mountains and the Pacific Ocean, it delivers perfect temperatures year-round and is filled with art galleries, boutiques and international cuisine. Perhaps the more well-known piece of this beach town is the 11-suite Hotel California. While the hotel has no connection to the famous song sung by The Eagles, its similar surroundings to that of the lyrics, still resonate with guests, making it a popular sight to see. The current owners, John and Debbie Stewart completely renovated the hotel and since then it has won numerous design and decor awards. 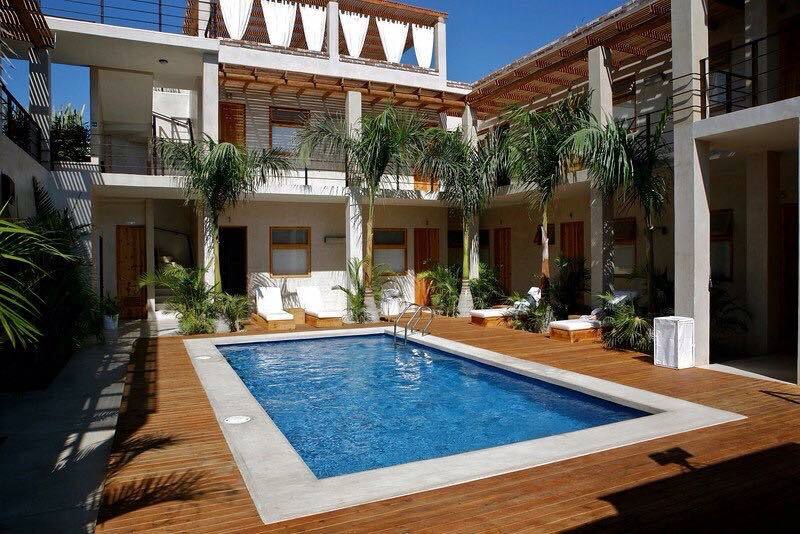 Other notable hotels in the area include Guaycura Boutique Hotel and Hotel Casa Tota, both of which are located in historic buildings that have since been preserved and renovated, a common theme throughout Todos Santos. For a more modern pick, opt for Rancho Pescadero where guests can enjoy complimentary daily yoga and farm-to-table cooking classes. For dining, La Casita Tapas and Wine Bar has become a local favorite, while La Esquina serves up great beach options of sandwiches, salads, smoothies and more. Cafe Santa Fe has been serving up authentic Italian dishes for over 20 years and is a popular food stop for many visitors and locals. Find variety at Caffé Todos Santos which doubles as an espresso and breakfast cafe on one side and an outdoor restaurant of Mexican comfort food on the other. Wander through town and discover the many art galleries and boutiques that the city is known for. Whale-watching, freeing turtles and surfing the waves are also popular activities. Todos Santos is known for some of the best surf breaks in the country like at Los Cerritos that has a mix of waves, perfect for new surfers and pros. To truly find the hidden spots, venture out with Mario Becerril who owns Mario Surf School.